After focussing on nothing but my 100th quilt for the last several weeks, I was at a lost as to what project to start next. I've never made a Miss Rosie's Quilt Co pattern that I didn't love and thought that would probably be the best way to get my sewing mojo back. 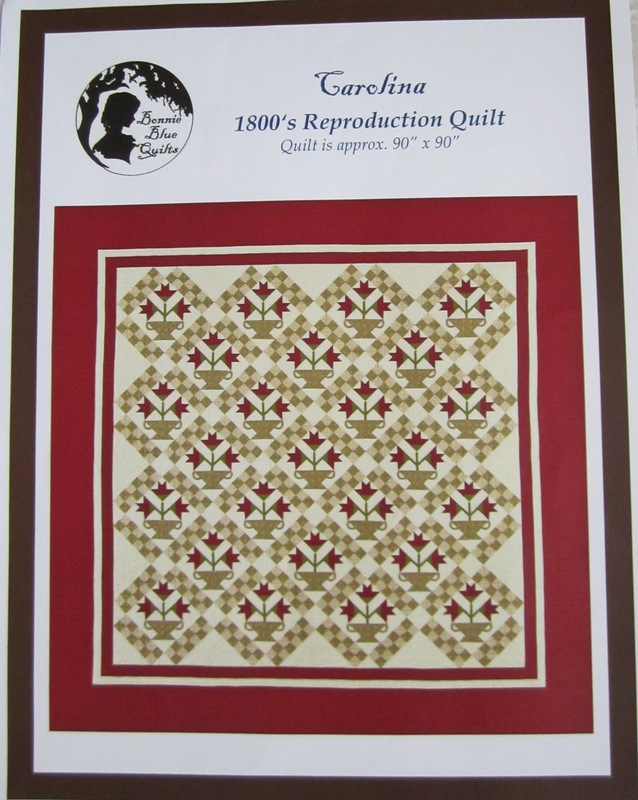 This pattern calls for 600 hsts and 180 flying geese units, what a great way to get back in the saddle. I think my French General version will really give this pattern a totally different look. If you would like to sew along with me the pattern is available here. The top row of strips are for my hsts, for my Easy Angle ruler. The second row of strips are for the sashing strips. And here's everything I need to make those geese. Once I decided on my 101st quilt, my next few projects fell into place too! I've got 4 Kim Diehl books with about 20 projects flagged, I'm going to be getting to those soon. I also have two projects flagged from this book. Nicole just finished Shiloh and I love hers, I have a kit for that quilt and I love this border fabric that was included. and am 5/8 of a yard of green fabric from having all the pieces to make this pattern. Oh my, another stunning quilt in the making! I love it already! I think French General will suit this quilt pattern beautifully. I look forward to seeing your progress (I know you will be quick!) - I think this one might go on my 'to do' list. glad to see you have another list ! I have Kim's books and have to admit to as many stickies on the pages as well! 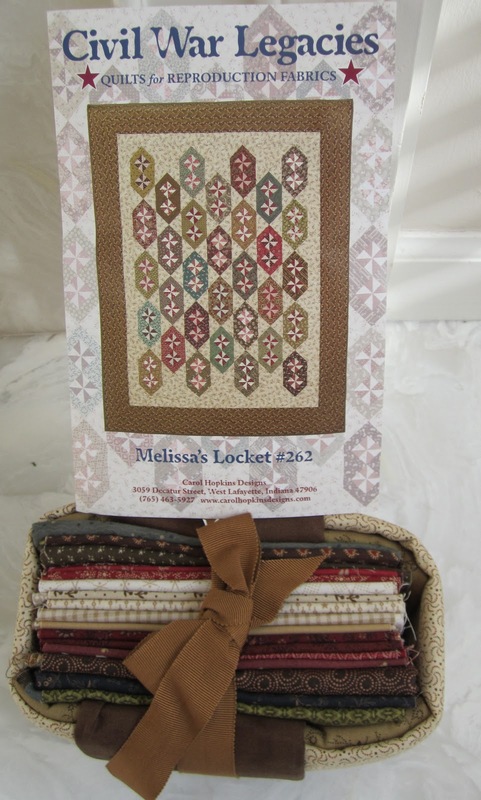 Love the three barns and LOVE the Carolina, so which fabrics are you going to use for that quilt? Looks like your mojo is back in all it's glory! Last week I pulled my Three Barns project bag thinking I might work on very soon. I might join you. I also have another Miss Rosie pattern I want to do so I have some decisions to make. :-) Your Three Barns quilt will be wonderful out of French General - it'll be fun to watch your progress. 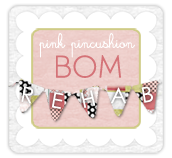 Lots of fabulous projects in your future. Life is very good! Can't wait to follow your progress. You have quite a lineup. I can't wait to see them being made!! Yep...looks like you are back on a roll and mojo is working at full steam...love those patterns you chose and can't wait to see your porgress. 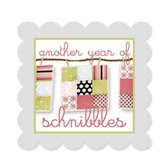 A smorgasbord of quilty delights! Yup! Mojo has officially returned to your neck of the woods, lol!! This list looks fantastic!!! I can't wait to see your versions of these stunning designs!! I'm looking forward to seeing progress on your "French Barns" because I think it is going to be beautiful! And what a lineup of future projects, should keep you busy and out of trouble for a few months, lol. Wow - what a great lineup of quilts! I have every single one of those patterns!! The difference is that you will actually get your quilts made - I will admire them from afar! see!!! see!!! even the fuzzy pink flamingo is giving those French Generals the Evil Eye!!! not to worry, though - your quilts are always stunning. oh those are some lovely patterns to make. Good luck with them all. Love this new quilt project you have chosen. Can't wait to see what Kim Diehl project you choose. Love her designs. 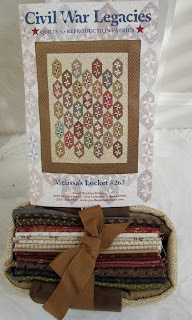 Love the fabrics and patterns you have chosen for the next volume in "Thelma's quilting world". The reds of the French General collection are beautiful. You'll get through your next 100 quilts in no time! I have two quilt kits at home that I totally forgot about but found a few weeks ago. I plan on getting those made in the next month or so. I love this quilt you've chosen and out of French General fabric....oh I may have to sew along! I have a few bundles of French General lines and seeing your pieces makes me want to get going. I am so excited to see your progress! What a great lineup of projects! Can't wait to see your progress. Wow! I can't wait to see what this year brings. My favorite all time fabric is French General, so this next one will be a beauty! You can't go wrong with French General...gosh, their fabrics are to die for! I can't wait to see all your projects this coming year. You help keep me motivated. I have been in love with 3 barns for some time now, but I have resisted the draw because honestly, most of Carrie's patterns are love at first sight for me. 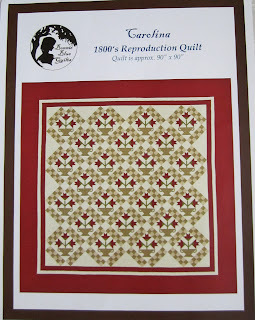 I am looking forward to making another Kim Diehl pattern. I recently finished the one I was working on and I'm in love. I also have a few of your other planned quilts on my list. I fell for Carlina when I saw her in person last year at market. The pattern just doesn't do her justice! Shiloh is another favorite since my daughter made her version for her dowry quilts. She always puts it on the bed when I visit her. What is the fabric in the background? I need to look for some of that because it is gorgeous. And Madder Stars is my favorite pattern in Leonie and Deirdre's book. Looking forward to following your adventures this year. You always make me want to go find the pattern that you are making. Three barns has been one that I've had my eye on for awhile and I had to order it today. I may have to stop following you because I've ordered too many patterns in the last few weeks! JK about stop following....NOT kidding about ordering patterns! Ooh I really like Three Barns, Shiloh, Civil War Legacies and French General. Can't wait to see what you come up with. 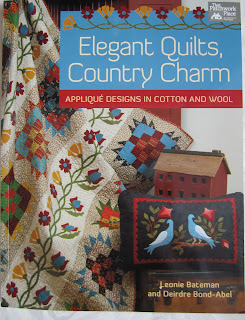 I'm looking forward to seeing all these quilts come alive on your blog. I admire how organized you are, cutting everything out ahead of time, etc. You're amazing! Fabulous! I have the Three Barns pattern...somewhere. It will be fun to see yours in the making. That pattern is perfectly wonderful and with the FG fabrics... great choice! I have all of Kim's books... and even got one signed at Road! I love that Pinwheel pattern of yours too... it is really unique.